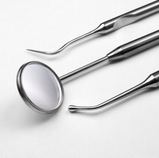 The dental treatment focused on the family at any age. The prevention, diagnosis and treatment of the teeth and gums. Using the latest in technological advancements in natural looking, tooth colored dental materials to bring the patient to a more pleasing appearance. Orthodontic treatment reshapes the jaw to help improve your bite and function. Making an appointment is fast and easy. Request one below or call us today! Real Dentistry℠ © 2010-2015 All Rights Reserved.